When Nike took over the NFL several years ago, they got off to a rough start. They had issues with players and their designs weren’t all that great. But as I was sifting through training camp photos, I found something that Nike designed for the NFL that I thought was beautiful. In fact, I can say this may be their greatest design contribution to the league since taking over. Introducing to you: The Nike SpeedVent shorts. These shorts are meant to be worn during training camp practice. What makes them unique is the design itself. Each pair isn’t some generic template. They are all designed to look like the pants the actual team wears on gamedays. Take a look at the slideshow above. You can see that each short shares the same design element as the pants the team wears for their games. The design reminds me of the sideline caps that the NFL had almost 10 years ago. Reebok’s sideline caps for the 2006 season all were unique in design because the design featured design elements from the pants the teams wore that season. 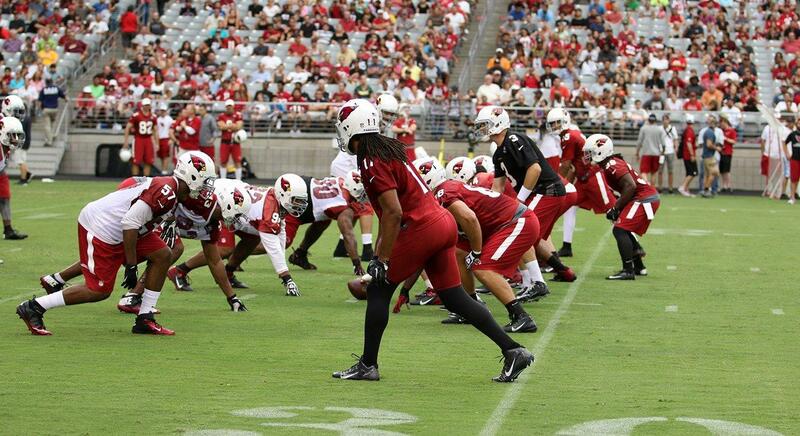 The Cardinals’ shorts don’t look exactly like their current pants design, but it’s close enough in my book. Up until today, those caps were my favorite non-uniform NFL on-field gear. The new designs this year by Nike might rival that. Although I don’t know if $75 is a justifiable price for shorts, I suppose if I like it that much, I might consider it. It’s a unique design that shows us that Nike isn’t just mailing it in with a ho-hum same template design. I like the uniqueness here. Good job, Nike. This entry was posted in Equipment, NFL, Uniforms & Design and tagged Nike, Training Camp. Bookmark the permalink. ← What should the A’s do with the 10K “La Potencia” Yoenis Cespedes shirts?